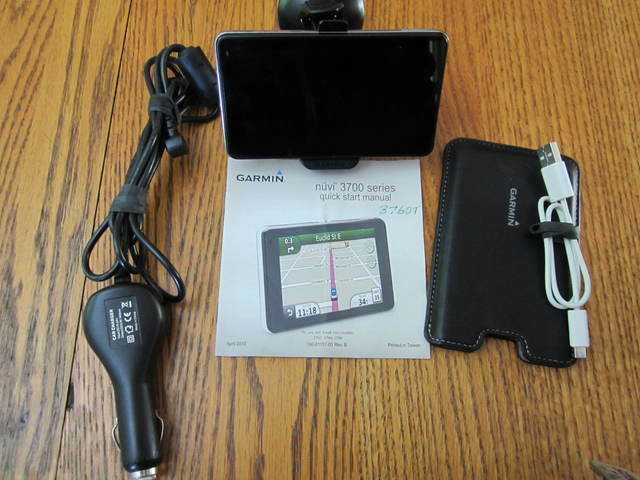 Garmin Nuvi 3760T slim line automotive GPS with 2011 North American maps. Includes manual, window mount, carry case, data transfer cables. The unit is in new condition and has had very little use.. The GPS has voice command and BlueTooth hands free calling for pairing with your phone.